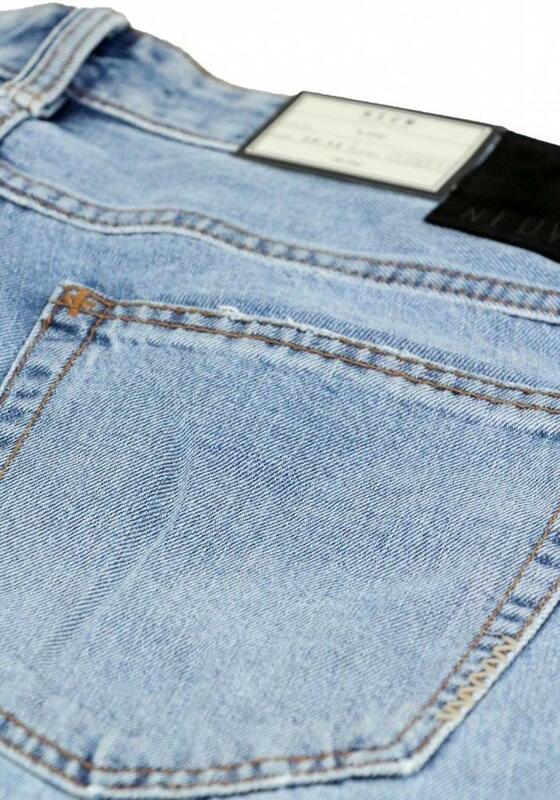 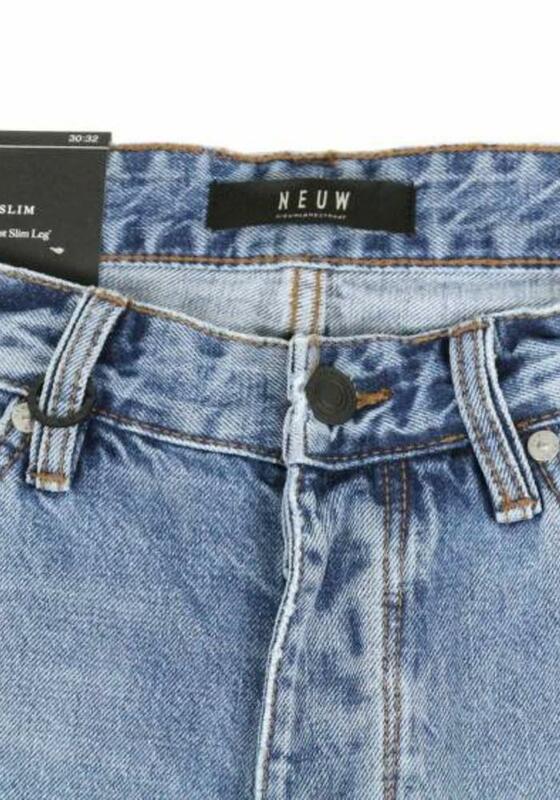 Regular slim jeans from denim brand Neuw. 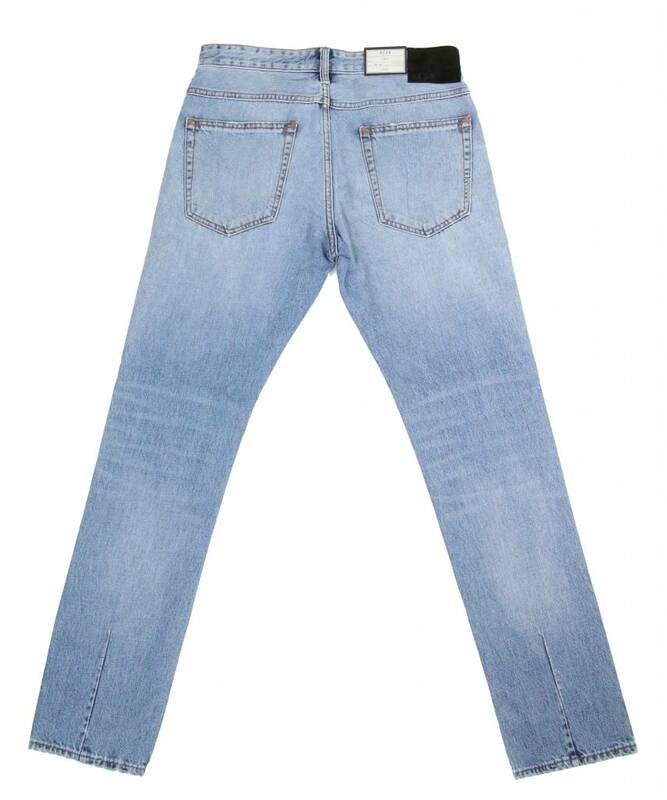 These light Lou Slim jeans have a vintage look thanks to the light wash and bleached details. 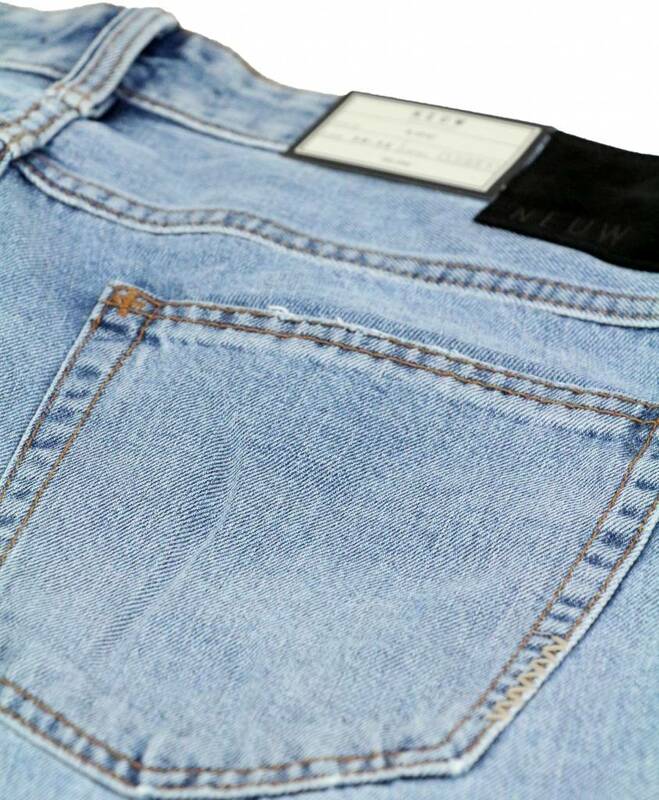 A subtle whisker effect has been applied to the waist. 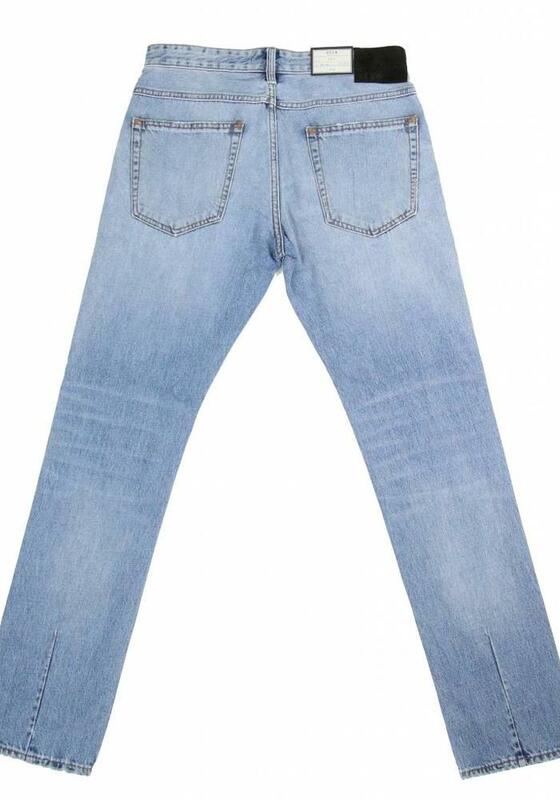 These light blue jeans are perfect for summer. 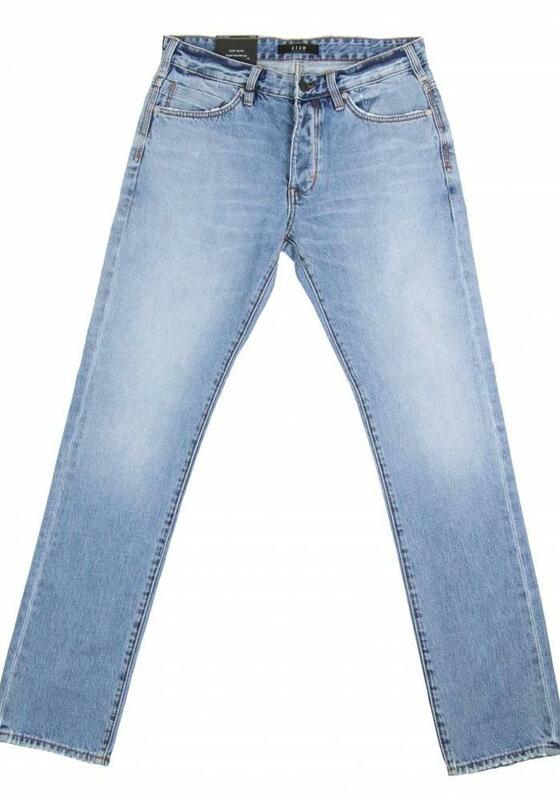 Pair them with a tee and some white sneakers and you're ready to go! 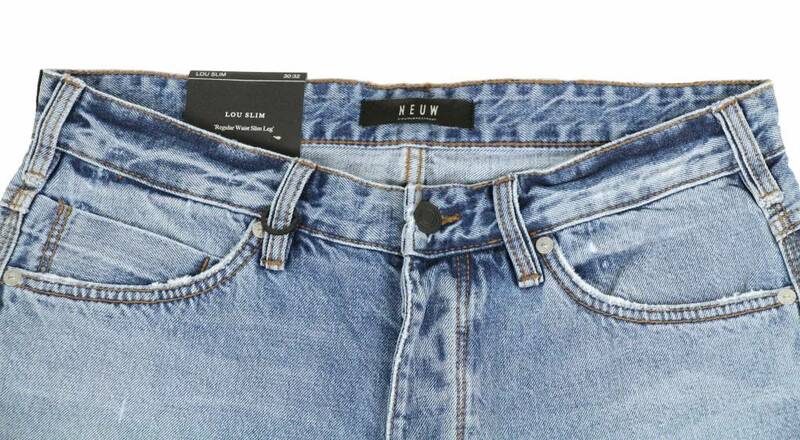 The fit of the Lou-Slim jeans is a regular slim; the waist is a regular, whilst the legs are more of a slim-fit. 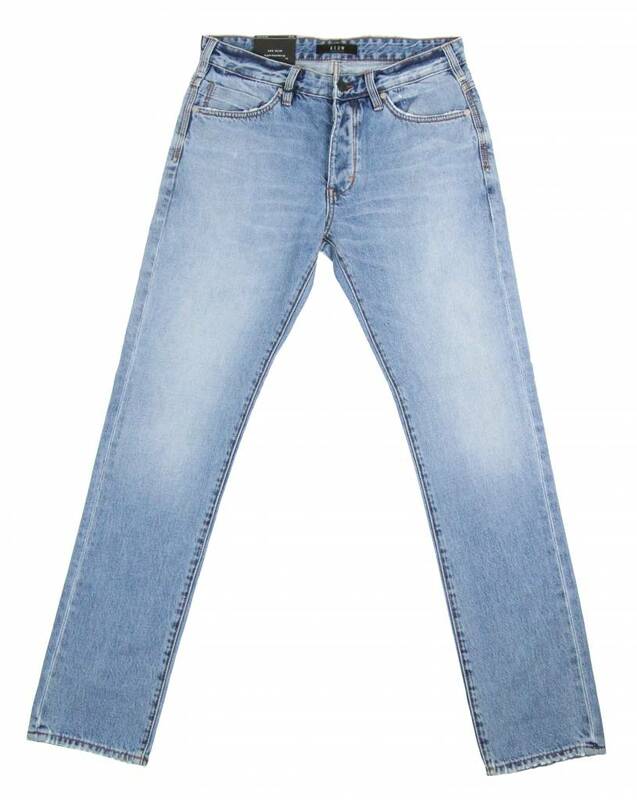 This makes it much easier to wear for most guys than a skinny jeans.